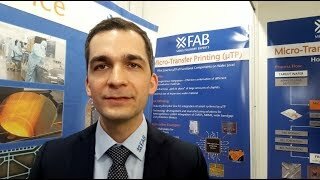 Linux-based IoT microcomputer is only 76x37x18mm ..
AI, MEMS and sensors are tech to watch, says IBM ..
Optimising RS-485 for lowest EMI and lowest power ..
Utilizing GaN transistors in 48V communications DC-DC converter design ..
New Multiplier-Accumulator accelerates polynomials ..
Understanding and designing differential filters for communications systems ..
New possibilities for smart-factory security .. The basics of Bluetooth Low Energy (BLE) ..
One manufacturer’s junk is another’s gold ..
Analog hacks: sense the world for the Cypress/Hackster design contest ..
Spacecraft data handling using ARM-based processors ..
Resets in FPGA & ASIC control and data paths .. Using low voltage precision op amps for a high voltage sensing application ..
Making fog computing sensors clearly reliable ..
Monolithic JFETs are alive and well ..
Iterated-map circuit creates chaos ..
ASN Filter Script: a new paradigm in bespoke filter design ..
RF design in the 21st century ..